If you are trying to find ways of enhancing customer experience, social media customer service can be your answer. Here are some social media tips to improve your customer service. Social media customer service helps build better relationships with your customers, assuring them of your continuous support. Furthermore, social media customer service connects customers directly to your business, offering instant gratification. Certainly, when customers get directly in touch with your business immediately, customer service improves. Moreover, interacting with customers on public platforms like social media sites establishes your business’s credibility, and it is also much easier for your workers than providing phone service. On the other hand, inadequate social media customer service can lead to customer dissatisfaction, driving them away from your business. To prepare your social customer service strategy, this post discusses some best practices that your customers are sure to appreciate. Providing exceptional social media customer service is easier if you use the same social media platforms as your customers. The common platforms are the perfect corporate resolution to save resources and time while delivering better social media customer service. Though businesses generally provide social media customer service via Facebook and Twitter, you may find your customers on other social media platforms like Instagram, Pinterest, LinkedIn and Google+. Almost always, it is better to provide customer service on the social media platforms where your brand name is mentioned most often. The employees who handle social media customer service must be well trained in providing customer care. Training develops both skills and patience to adequately assist customers in social media platforms. In addition, the customer service team should be capable of handling negative remarks or angry complaints, like those customers that want you to accept PayPal alternatives, tactfully, protecting the brand image of your business. Only proper training can prepare your social media customer service team in fulfilling these responsibilities. Make sure that the customer service training includes clear directions on the language and tone of voice to be used. Surely, this will improve the overall quality of your social media support. Connect your Instagram and Facebook accounts. There are features within both social media apps that allow you to have your Instagram DMs pushed to your Facebook inbox and vice versa. This helps you keep track of things all in on centralized location. That makes social media management tasks much easier for workers. You may even be able to link accounts from other social media platforms too, like Twitter or LinkedIn. Make sure you follow this tip to streamline social media management operations. To further improve social media customer service, creating separate customer support handles for each department can organize requests for support. Undoubtedly, this measure will make promptly responding to customer queries easier. Additionally, creating separate customer support pages prevents your social media marketing campaigns from getting overshadowed by customer queries. More importantly, designated social media customer support handles will help in building better customer relationships. When it comes to social media customer service, speed matters as much as quality. That is why in the Amazon Business vs Amazon Prime debate, the faster business account always wins. Customers ask questions on a business’s social media page to grab attention quickly. What’s more, a number of customers expect to get a response within an hour or less. Due to the quick paced environment of social media platforms, customers tend to act impatiently. However, quick responses can easily pacify them, improving their perception of your business. In addition to just responding quicker, social media customer service allows your business responses to be delivered in a much more personal manner. No one enjoys talking to a computer, even when they are using the computer to communicate. Giving customers the ability to talk to a real person makes your business more human, which is always a great thing. Talking to a real human being is a much better customer service experience for your customers. So make your brand more personable and relatable using social media for customer service. Like every other aspect of your business, social media customer service needs to be monitored by a set of standard principles. 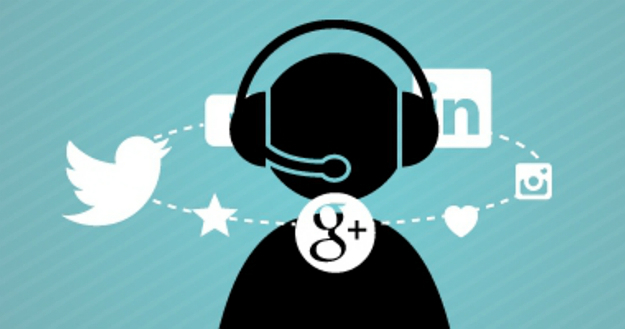 These principles maintain the consistency of social media customer service efforts. Under standard principles, customers will be offered similar reimbursements or credits. Moreover, each customer query will get equal importance. As you can imagine, consistent social media customer service is more appreciated by customers. Finally, empathetic customer service strengthens customer relationships. Especially via social media, considering complaints from the customer’s perspective enables you to respond more empathetically. Using empathy, you can construct responses that are thoughtful and positive to strike the right cord with the customers. Here are some thank you business sayings to get started. Furthermore, you should apologize where necessary, convincing the customers about your genuine concern. Of course, empathy towards customers will boost your social media customer service. As we have discussed, social media is a necessary tool to connect with your customers online for when you need pardons for a worker’s mistake or they need help learning how to use your product. On top of that, it can alleviate customer concerns of your business. Skilled social media customer service can retain customers and even attract new ones through word of mouth, adding a competitive edge to your business.